Hub Centric Rings, Installation, Lifetime Spin Balancing, Road Force Balancing, TPMS Rebuild Kit, TPMS Sensor, Valve Stem, Wheel Cover, Wheel Install Kit. 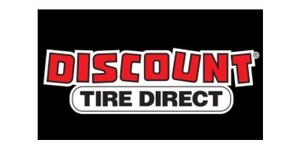 Discount Tire Direct has been in business for over 25 years and has built relationships with all of the top tire and wheel manufacturers. They take pride in offering the lowest prices, the most choices and the best customer service in the industry. They offer a large selection of tires and wheels to give you more choices to fit your car, truck, SUV/CUV, trailer, and ATV. You can search by vehicle, by size, by type, or by brand. They stock everything from replacement tires and wheels for your daily driver to specialty tires and wheels for the enthusiast.